Award winning Sligo photographer specialising in family, commercial and wedding portraits. Irish directory for discounted wedding dress by famous designers such as Mori Lee, Justin Alexander, Ronald Joyce, Modeca, Paloma Bianca and more. 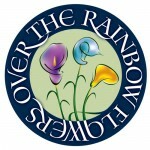 Over the Rainbow Flowers is a bespoke freelance floristry business specialising in Wedding Flowers / Civil Ceremony Flowers / Wedding Flower Packages and Special Event floristry in Dublin and surrounding counties. Dance Divas – Dress Up & Dance is the leading hen party activity in the West of Ireland. With over 12 specialised themes to choose from, it is suitable for groups of all ages and fitness levels. Irish based Vintage Wedding Stationery. Wedding Pixie offer brides and grooms the very latest and greatest in wedding website templates in a range of exciting, modern designs with lots of great features including online RSVP! The Great Escapes policy is, and has always been, to deliver a professional show with professional equipment, delivered by professional musicians! We will always endeavor to ensure that every wedding is given the same attention to detail and effort and that each couple is completely satisfied with the service we provide.